So, I’ve had a great break from the usual rhythm of life, and we’ve moved house. Our ‘real’ house is now a shell of its former self – and I mean that literally! The back has been demolished and there are holes in walls where new doorways will fit. I’ll tell you more about that in a later post. I’ve had sporadic internet access for two weeks so I’ve had a longer blogging break than I expected. But now I’m set up at my new desk – a lovely long desk that spans the length of our dining room with more storage than I’ve had before. So it’s time to start blogging again, and what better way to start than to discuss books about starting school? We have a small collection of picture books about starting school, and I have read them to each of my three kids during the January holidays before they started their first day at school. I think it’s quite comforting to know (as an adult or kid) that there are other people going through similar experiences to you, regardless of whether those people are real or characters in a book. Below is a list of a few picture books where the main theme is starting school. I’ve also included a picture book about starting kinder and a couple of chapter books where the protagonist is starting a new school for older readers. 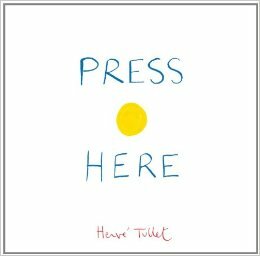 Tom and Small, written and illustrated by Clara Vulliamy – a lovely picture book about a boy called Tom who is starting his first day at school. He confesses all his worries to his soft toy mouse, Small. He doesn’t sleep very well that night and falls into a dream where he becomes as small as Small, and they have many adventures, including flying a toy plane to Tom’s school, where he tells Small, ‘”I can see my peg with my name on it, all ready for me … and where I’ll sit, and a special place for all my things.”‘ Tom manages beautifully at school the next day, and sees a tiny sign that perhaps his adventures with Small were more than a dream. The illustrations are sweet and I love the combination of real life fears mixed in with magic and adventure. Starting school, written by Jane Godwin and illustrated by Anna Walker – Jane and Anna are a talented author/illustrator combination and have collaborated on quite a few books together. This gorgeously illustrated picture book tells the story of five children starting school, with different headings for each page like ‘getting to know people’, ‘in the playground’ and ‘snack time’. Like any wonderful picture book, the illustrations and text work in tandem, and it’s hard to describe one without the other. I love the picture of Sunita writing on a blackboard in front of her soft toys – ‘”Is everybody listening?” Sunita asks.’ I can imagine this book appealing to all kids starting school – Mr 6 pulled it off the pile on my desk to read it again – ‘even though I don’t need it ‘cos I’m in grade one now!’ The five characters have the universal fears and hopes of all kids, but are different enough in their personalities to be interesting. Splat the cat, written and illustrated by Rob Scotton – Splat is a larger than life character and fills the page both visually and with his personality. He is starting cat school and doesn’t want to get out of bed. ‘If I hide from the day, maybe it’ll go away, he thought. It didn’t.’ Put your hands up if you can identify with Splat now – yes, we have all wanted to hide from the day! Splat comes up with one excuse after the other, but his mum drags him to school, along with his pet mouse, Seymour. Splat’s teacher teaches all the cats in her class that cats chase mice – a big problem when the class discovers Seymour. Luckily, Splat and Seymour save the day, and Splat doesn’t need any excuses to avoid school the next day. 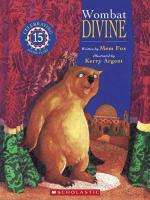 A funny, funny book with memorable illustrations and a great character. Just Jack, written and illustrated by Jane Tanner – this one is about a boy starting kinder. To alleviate his fears, Jack dresses up in his superhero costume. It makes him feel fearless, and he has a great first day at kinder, coming home covered in water and sand. Mum wants to wash his superhero costume – Jack refuses. Jack eats birthday cake, makes mud pies and paints over the next few days at kinder in his superhero costume and refuses to let mum wash it, despite all the mess. Eventually mum wins the battle and Jack has to go to kinder as ‘just Jack’ with no superhero costume. He realises that he can still have fun at kinder as ‘just Jack’. I think this story is for every parent who has eventually washed a food or dirt covered dress-up costume after a battle to put it in the washing machine! 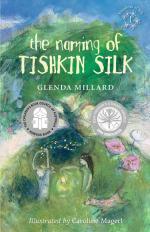 The naming of Tishkin Silk, written by Glenda Millard, illustrated by Caroline Magerl – this is the first book in one of my favourite series. This chapter book for 7-10 year-olds is not all about a new school but because the main character, Griffin, faces a hard time at his new school, it is worth mentioning here. Griffin is a boy with long hair, his clothes aren’t right and he’s been homeschooled by his Mama, who is now in hospital. I love how Griffin remains absolutely himself, despite the taunts from the class bully. I hope that these books are useful for you if you have a little one starting school or kinder. I’m always happy to lend out our books to local readers – let me know if you’d like to borrow a book. And I hope that you had a lovely summer holiday break and found time to read some wonderful books. I’m looking forward to writing blog posts about the books I’m reading, the books my kids are reading, my writing and editing projects, and the odd post here and there about life in general. I did a little bit of blog planning over the holidays and have mapped out some ideas. If there are any bookish topics you’d like me to cover – craft, parenting, cookbooks, helping kids to read or write, writing for yourself – please let me know in the comments. Thank you for following my blog! Miss 9 and Mr 6 think Christmas books are the best. They only come out for a month each year, so there is a sense of both remembering and rediscovering them, another year older. Here’s a list of ten of our favourite Christmas books. Little dog and the Christmas wish, written by Corinne Fenton, illustrated by Robin Cowcher – if you live in Melbourne, you probably know that this book is the theme for the Myer windows this year. Only Miss 9 has seen the Myer windows but we will take the kids in before Christmas because it is such a lovely tradition. This story is simple and sweet, about a lost dog looking for his Jonathan in the rain. The illustrations showcase Melbourne’s city streets – you’ll recognise lots of landmarks. A great read for kids aged 2-6. The Polar Express, written and illustrated by Chris Van Allsburg – the video for this book is almost mandatory watching during December for our family. The video may be a little scary for some children but the book doesn’t have any scary scenes. 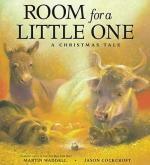 The story centres around a little boy who believes in Santa and goes on a magical train ride to the North Pole. He is chosen by Santa to choose the first Christmas gift – ‘I knew that I could have any gift I could imagine. But the one thing I wanted most for Christmas was not inside Santa’s giant bag. What I wanted more than anything was one silver bell from Santa’s sleigh.’ Beautifully illustrated picture book for 2-6 year-olds. Children’s books that can stand alone, without any need to continue the drama or extend the characters, are pretty special because they are their own entity. We don’t need to look at the library for number 17, we’re not bored with the characters by book 11 and we can’t predict the pattern of the plot by book 9. These books are independently standing by themselves, confident that we will love them for their solo status! However, after writing this post, I did notice that some of these books, which we enjoyed as single books, now have a sequel. So perhaps it’s a list for single books and books with a sequel. When choosing books for kids, it depends on whether your kids are obsessive readers or reluctant readers or somewhere in between. If my kids are reluctant to read a book I think they’ll enjoy, I’ll read the first chapter of a book to them, they’ll become engrossed in the story, then they’ll be happy to read it by themselves. Otherwise, I read it to them, one chapter at bedtime, and then we can share the story together. For reluctant readers, it’s probably better to go down a level, so they can gain confidence. And it’s always better to choose a high-quality book that your kids will want to read again. 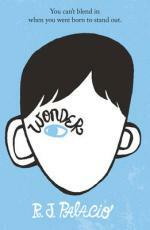 Kids are usually aspirational readers – they like reading about a character who is a year or two older than they are. So if you’re not sure about the suitability of a particular book check the age of the main character, which is usually revealed in the first few pages of the book. So, without further ado, here is a list of 12 fabulous books for 6-12 year old kids, in no particular order. Holes by Louis Sacher – I’ve read this book twice, and I think Mr 11 has read it two or three times as well. It is one of the best examples of a perfectly constructed book – I return to it again and again to study it for writing practice. But, despite the craft in the construction, it is such a good, page-turning read. There are so many a-ha moments, where something that was set up slightly in the beginning of the book, comes to fruition by the end of the book. Anton Chekov is famous for saying, ‘If you say in the first chapter that there is a rifle hanging on the wall, in the second or third chapter it absolutely must go off. If it’s not going to be fired, it shouldn’t be hanging there.’ Louis Sacher’s book is a prime example of setting up the rifle scenario. It’s about a hapless boy, Stanley Yelnats, who gets caught up in the wrong thing at the wrong time, and ends up at a juvenile delinquent centre. He goes through many changes, becomes stronger – physically and mentally. It is for girls and boys – boys because the protagonist is a boy and it’s set in a boys’ detention centre. It’s for girls because the back story (history) includes a love story with a strong female character. I will probably suggest Miss 9 reads it over the holidays, or if she’s not quite ready to read it herself, I might read it to her, a chapter a night. Great for 9-12 year-olds. Mrs Frisby and the rats of Nimh by Robert C. O’Brien – I read this book to Miss 9 when she was 8. She loved it so much that I sewed her a bunch of felt mice, named after the various mice and rats in this book. There’s a strong plot and interesting animal characters. Mrs Frisby (a mouse) and her four children must move from their home before the farmer destroys it but one of her sons is sick and may not make the journey. Mrs Frisby needs to seek the council of other animals for help. While a children’s novel about mice may seem a little tame, this story has heart-stopping adventure with wonderfully developed characters. It would be fabulous to study in a classroom as there are themes of loyalty, survival, secrecy, courage. Perfect for girls and boys, 8-11 years. Molly, Pim and the millions of stars by Martine Murray – I have reviewed this book here. Gorgeous, magical book for girls, aged 7-10 years, focusing on relationships with friends and mothers. The accidental princess by Jen Storer – this one is definitely for girls. Take a look at the cover – a girl with a crown, lilac flowers and fairies! Because it has such a gorgeous cover, it looks like an appealing book to read. However, as well as fairies and lilac hedges, there is sibling rivalry between two sisters, dark magic, imps, a troll, a toad … It is full of adventure and fantasy. Perfect for girls aged 7-10. Could you, would you? 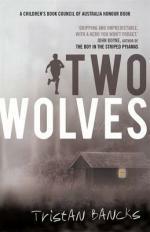 by Trudy White – this is a different sort of book, non-fiction, full of questions to start family conversations. I’m thinking it would be useful for long holiday car rides or leisurely family dinners. Here’s an example – What did your dad do when he was a boy? What makes you smile? Did you have imaginary friends? Could you recognise your family with your eyes shut? Could you travel to outer space? Great for girls and boys of any age. Song for a scarlet runner by Julie Hunt – my review for this book is here. Loved it. Miss 9 at age 8 thought it was a compelling read and couldn’t put it down. The protagonist is a girl but we meet a lovely boy character halfway through the book. Great for girls and boys, aged 8-12. The invention of Hugo Cabret by Brian Selznick – this is a graphic novel. I read it to Mr 11 when he was 8 and Miss 9 listened in as a six-year-old. It’s a thick, thick book, with illustrations taking up most of the book. So if you have a reluctant reader who still wants to manage thick books, this would boost their reading confidence. It’s fabulous for visually-minded kids – Mr 11 drew a lot of cross-hatching type of pictures after reading this. As this book is now a movie, it’s a nice idea to be able to read the book, and then compare it to the movie. And as the movie is set in Paris, the backdrop is spectacular. The story is wonderful, with an original plot and layered adult and kid characters. It’s a useful tool to teach kids (intentionally or accidentally) about ‘reading’ pictures. Lots of questions to ask about the pictures – look at her expression, what is she feeling, what’s happening in the background, how do we know this is a tense situation, why is he frightened? Absolutely wonderful for boys and girls, aged 8-12. The fourteenth summer of Angus Jack by Jen Storer – I blogged about this book here. 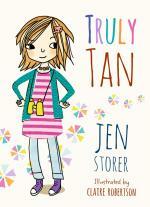 Another fabulous book from Jen Storer about siblings, this time 14 year-old Angus and 10 year-old Martha. This one is great for girls and boys, aged 9-12. Escape from Mr Lemoncello’s Library by Chris Grabenstein – Mr 11 read this last year when he had just turned 11. He put it on my bedside table and told me I had to read it. The main character, Kyle, is not a reader but loves board games. He decides to enter a competition because his friends are entering it – to spend the opening night in the town’s new library. Kyle has to use all his skills at board games, plus learn some new library and reading skills, to find his way through the competition clues. This book is wonderful for literal-minded kids, for kids who like facts and figures, for kids who like figuring out clues. I was not, and am not, that type of reader. I loved the original nature of the story, and I thought it was well-written. But I rushed through it because I wasn’t interested in working out the clues – I just wanted to read the story! Kyle is the main character, but there are girls in the story as well. Book 2 is coming out in January 2016. A really interesting read for detective-minded, clue-hunting, fact-finding readers, girls and boys, aged 9-12. Withering by Sea by Judith Rossell – I read this, chapter by chapter, to Miss 9 when she was 8. We sometimes broke our own rule of one chapter a night because it was so exciting that we had to read on! Miss 9 will probably pick it up to read herself within the next year – it is a book that could be read again and again. Gorgeous cover, beautiful illustrations inside. Probably marketed for girls but I think I will read it to Mr 6 in a couple of years because there is an interesting boy character. Stella lives with her three horrible aunts in a hotel, and has an amazing, dangerous adventure. I have broken my own rule again here, because there is a second book coming out later. But as there is only one now, I am going to count it as a stand-alone book! This book has won quite a few prizes and is well-regarded in the publishing world. Lovely for girls (maybe boys) aged 8-12. Footy dreaming by Michael Hyde – I wrote a blog post about this one here. It may be the wrong season for buying a footy book but it is a great book for boys aged 9-12. The boy characters are fifteen, but there is nothing too ‘teenagish’ about it which would make it unsuitable for younger readers. Let me know in the comments if you have any stand-alone novels for children to recommend – I’d love to know what books your children enjoy. 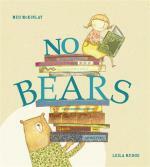 Next week I’ll write a blog post about picture books for Christmas shopping. Today is the last day for online ordering in-stock books at Readings and Booktopia if you want your books to arrive in time for Christmas. Just sayin’!